HMH Books for Young Readers, 9781328695987, 208pp. A curious monkey is a busy monkey! George is always on the go–trying something new, visiting new places, and meeting new people. 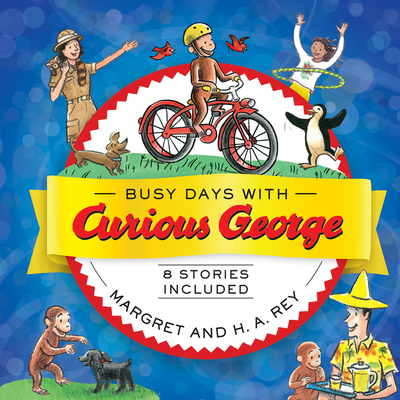 In this exciting collection, Curious George fans will find eight stories about their favorite little monkey: Curious George and the Ice Cream Surprise, Curious George Goes to the Zoo, Curious George Says Thank You, Curious George Saves His Pennies, Curious George Visits the Dentist, Curious George Goes to a Bookstore, Curious George Joins the Team, and Curious George and the Sleepover. It's a treasury to be cherished by fans old and new!